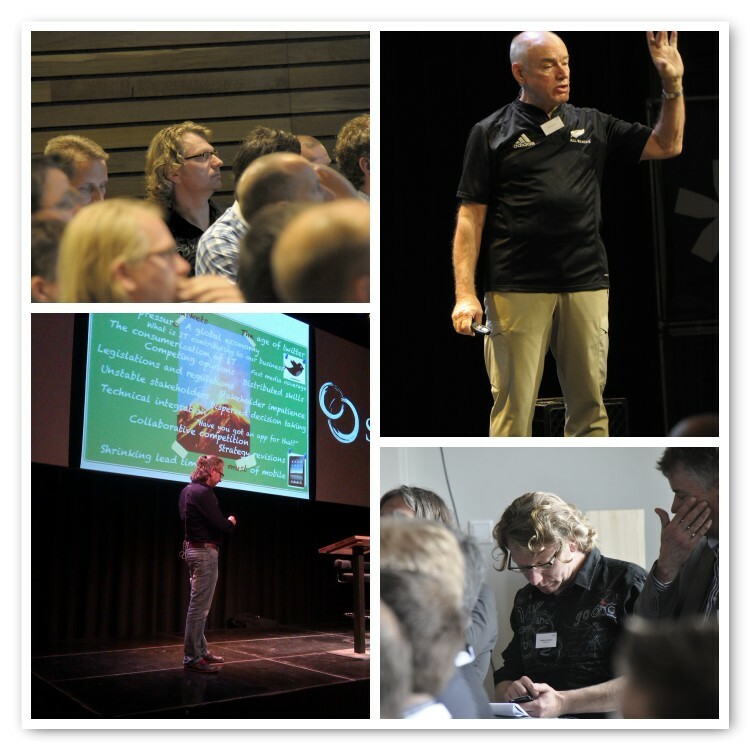 On 11 July 2012 we organized the first edition of the Scrum Day Europe (for which I previously published the abstracts of Ken Schwaber and myself). 130+ enthusiast people gathered, interacted and connected at the beautiful location of “Pakhuis De Zwijger” near the Amsterdam docks (Netherlands). I was delighted to see so many friends of Scrum; Professional Scrum students, colleagues, clients and personal friends. And I am extremely grateful for the appreciation and the energy received. Ken Schwaber opened the day with an inspiring talk on the global accomplishments of Scrum, and how well this positive change for the software industry is currently being embraced in Belgium and the Netherlands. He announced he is working on further evolutions of the Scrum framework towards management and organizational improvement. The CIO of Tele2, Svenja de Vos, talked us through the practicalities of their ‘big bang’, ‘no guts, no glory’-style transition to Scrum. Subsequently the audience split up to (1) join an OpenSpace, (2) play some agile games and (3) enjoy more perspectives to Scrum (change basics, coaching people and Scrum in a hosting environment). After lunch the full group joined again in the central room to listen to the highly energetic story of Amir Arooni, member of the ING IT management team. He gave the crowd an honest insight into their findings, impediments and future hopes after a 1+ year, large-scale transformation to Scrum. I was honored to be mentioned by Amir as one of the crucial guides of their transformation. As Capgemini global leader for Scrum I was asked by Ken to do my talk on the ‘Emergence of the Customer-Oriented Enterprise’, an organizational pattern to build on the Scrum framework to achieve enterprise agility. Beyond the appreciation I received I was particularly glad for getting away with a form of humor. My presentation is free for download. 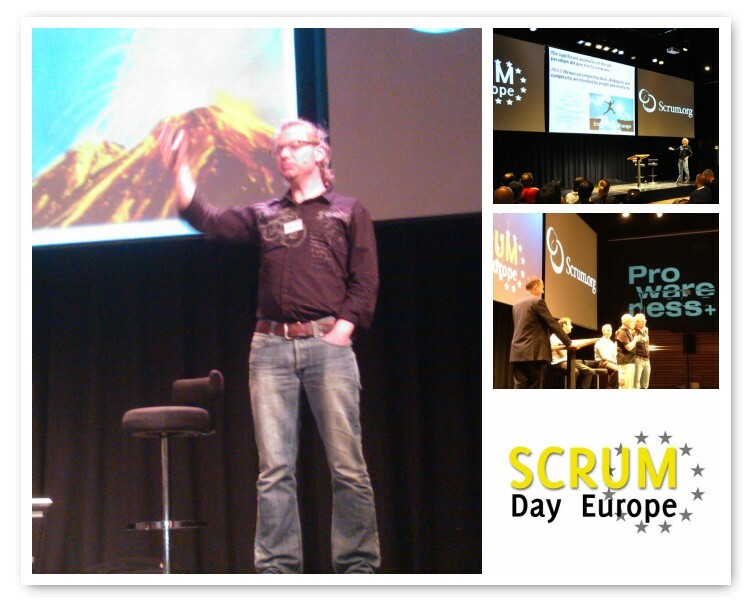 All pictures and presentations of the event are available at the Scrum Day Europe website. A big thanks to Scrum.org, all co-organizers and I hope to see you next year! I really liked out interactive panel discussion at the end of the day. What a great way to unwind and share. Agree. It was just fun. Got good feedback on that too!